If you are searching for the best gyms in Quincy, or the surrounding areas of Massachusetts, then you may become quickly overwhelmed when learning about just how many gyms are in your area. However, with such a wide variety of fitness centers to choose from, narrowing down your decision can be rather difficult.  That’s why, in today’s article, we will be talking about just a few of the reasons why L.I.F.E. Health and Fitness Center is the best gym in Quincy. When you’re finished reading, be sure to get in touch with us today to sign up for one of our many different fitness classes! We know that it can be difficult to find a gym near you offering the services that you need to get fit while making friends along the way. That’s why L.I.F.E. Health and Fitness Center works hard to accommodate any individuals that are interested in our classes. Whether you are wanting to hire a personal trainer or if you simply want to learn more about our Insanity™ workout schedule, we’re here to help. Read more below to learn why L.I.F.E. Health and Fitness is one of the best gyms in Quincy. We know that no two individuals’ fitness needs are alike, which is why we offer the broadest selection of workout classes to choose from. Not only do we offer a comprehensive bootcamp class that focuses on circuit-style training, but we also offer a number of other intense fitness classes such as Insanity™, cross training, boxing, and so much more. We do all of this so that you can find every fitness routine that you could imagine under one roof. If you are trying to locate the best post-workout recovery products after a strenuous day at the gym, consider asking about our nutrition products next time you’re at the best gym in Quincy! We offer a number of sports nutrition products to choose from that range from protein bars and meal replacement drinks to protein shakes and granola. So no matter what your needs may be, we have you covered at L.I.F.E. Health and Fitness. Not to mention, if you’re looking for some extra fitness clothing to add to your arsenal, you can find L.I.F.E. Health and Fitness branded clothing on our online shop! We know that you will enjoy being a part of the best gym in Quincy, which is why we’re asking all individuals that are interested to reach out to our friendly team of fitness professionals today! As we mentioned earlier, we offer a number of classes that you can choose from, all of which are part of our weekly schedule that you can view on our website. To learn more about our personal training program or to learn about our monthly rates, give us a call at 617-770-1115.